I’m THRILLED to announce a brand-new initiative! In honor of our mission to inspire compassionate actions and attitudes, we have created the Compassion It Community Outreach Program to support other non-profit organizations. We’ve chosen Holistic Life Foundation (HLF) as the first recipient of our community outreach initiative. 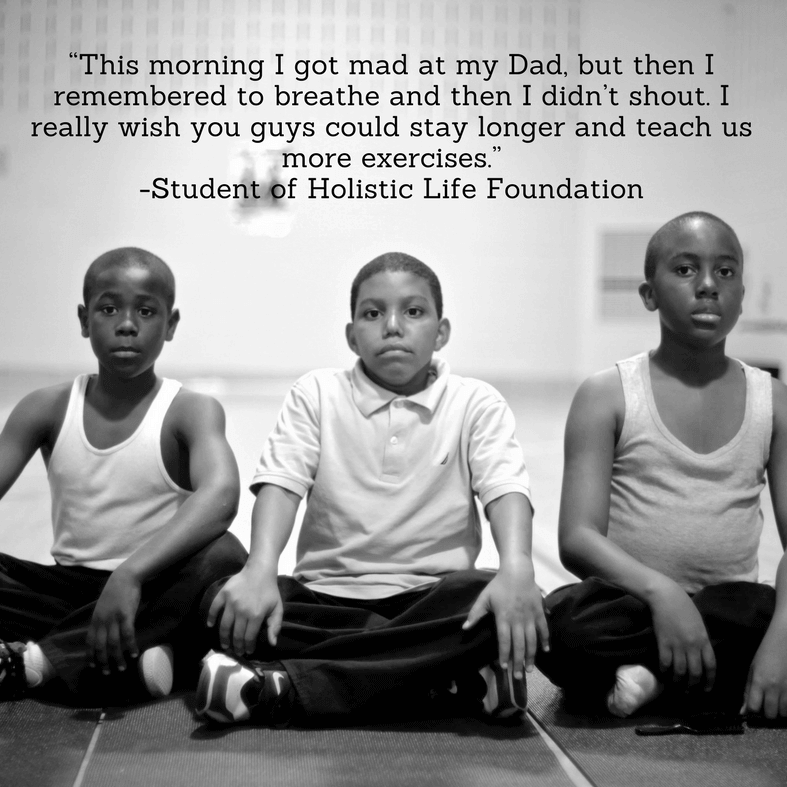 HLF reaches thousands of Baltimore-area children and families each week through yoga, mindfulness, and self-care. They intend to use our wristbands and lessons to complement their exisiting programs. We will work closely with HLF to launch Compassion It throughout the organization, and we’ll also offer ongoing support. Your donation will help us reach those who wouldn’t normally have access to these tools. We TRULY appreciate any support you can offer. Click HERE to donate and learn more.